Pinterest is an online pin board that allows you to pin images from websites (you can also upload them) with a link to the source and a description. It’s also a visual search engine. It’s great for so many things! Pinterest is also *sort of* a social network (and sort of not really a social network). You can follow people (or individual boards), send friends pins within Pinterest, leave comments on pins, be part of a group board, and more. However, you can be entirely un-social and still use it. 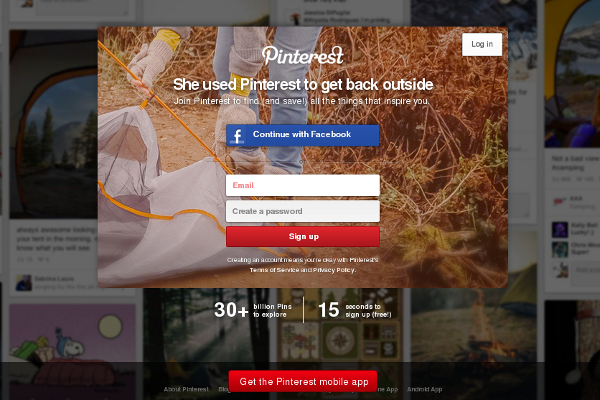 In fact, the social components of Pinterest are minor compared to it’s purpose as a visual discovery tool. Create style boards for things you like or mood boards for projects. Look at images of beautiful and interesting things (and cute animals). Find ideas, inspiration, and information (LOTS of blog posts are pinned to Pinterest). Share things you like with other people by sending them to your profile or boards. Collaborate with other people with group boards. Use it as a visual search engine. This works better with some topics and words than others, but when it works, it’s great! Just browse for information in a visual way. Follow blogs (bloggers on Pinterest typically pin their blog posts to one or more of their boards). Follow brands, bloggers, and others who have great ideas and style—let them do the hard work of discovery for you! Organize things you want to read or do (in a visual way!). Interact with others about pictures, projects, recipes, articles, etc. 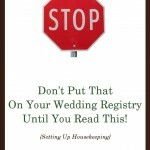 Read the guide and the acceptable use policy. Make use of help, if anything is not intuitive. Still not sure? 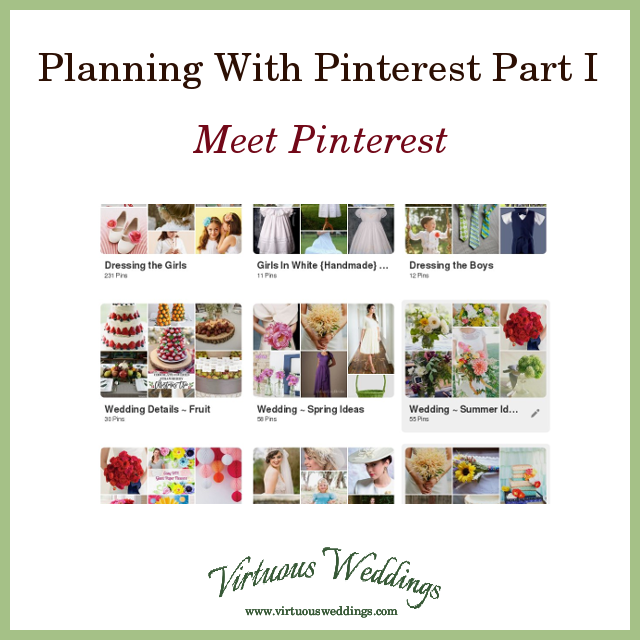 Visit Virtuous Weddings on Pinterest and see the potential for yourself!